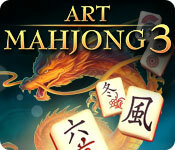 Art Mahjong 3 offers three exciting variants for the traditional Chinese board-game. 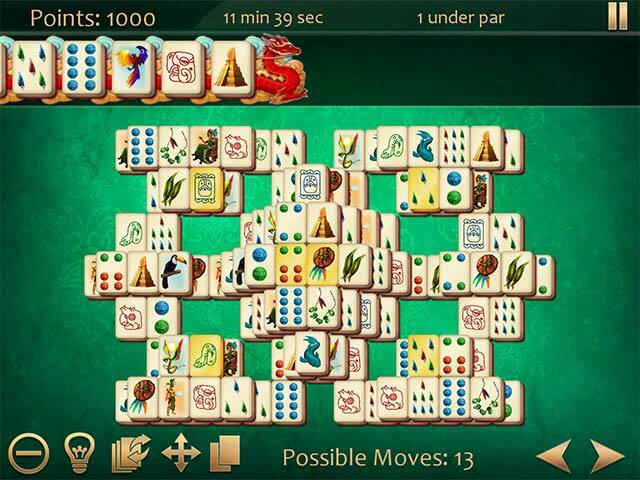 Try Dragon-Mahjong, Dragonmaster and Classic Mahjong. 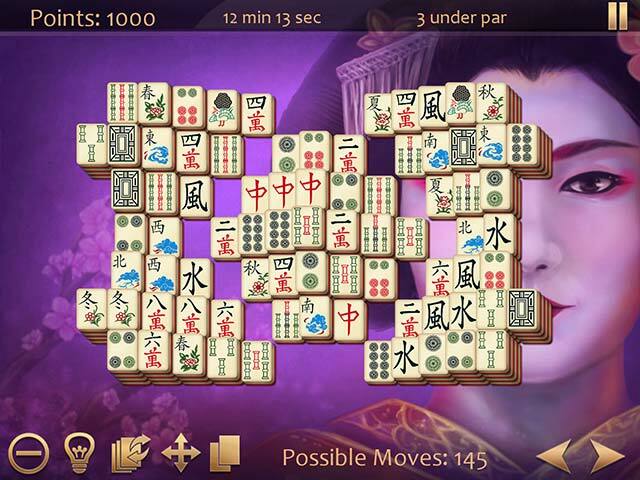 With Dragon-Mahjongg, test your speed against this fast-paced variant where time is not on your side. Especially in higher levels this offers a true challenge for all gamers. In Dragonmaster, take on a challenging artificial intelligence, the Dragonmaster himself! Or, enjoy Classic Mahjong, the well known and beloved classical version of the famous board-game. Great for beginners and Mahjong veterans alike! Art Mahjong 3 is rated 3.0 out of 5 by 3. Rated 5 out of 5 by sewbizzy from Fast Paced Mah-jongg Yes, it's just another mah-jongg game. But this one does have a timer and the dragon mah-jongg is very fast paced and gets difficult early on (at least it did for me). Sometimes we want a game that diverts our attention for a just a few minutes. So, if you want a game that you can play for a level or two and then leave - this is an ideal one. It loads quickly and quits even faster - one click and it's gone. No annoying pop-ups asking if you 'really really really want to quit'. The visuals are well drawn. Overall, I give this one 5 stars - the developers managed to give a bit of a new twist to mah-jongg and I like it! Rated 3 out of 5 by pennmom36 from Dragon Mahjongg Was The Only One I Liked All three games are fast paced and offer no relaxed mode, at least none that I could find. The First of three types of Mahjongg games available is Dragon Mahjongg. 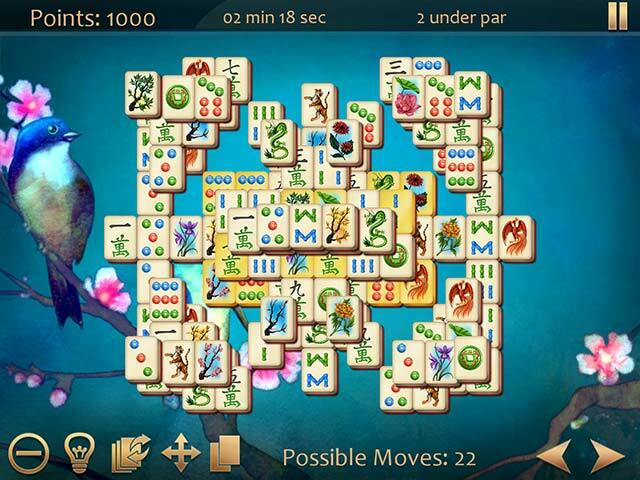 In this game, you must select a matching tile from the board that is shown on the Dragon tiles at the top. If you make a mistake, a new tile is added to the Dragon tiles, and if the Dragon reaches the end, you will lose. The second Mahjongg game is a Classic Mahjongg, where you select unblocked available matches, and remove all gold tiles. This game is a race against the clock however, if you want to earn all three gold stars. Eventually you will not be able to proceed with new levels because a certain amount of gold stars are necessary to unlock more levels. The third is Dragon Master Mahjongg, where you play Mahjongg against the Dragon Master. The goal is to remove matching tiles on the board, and you can use the 6 available bonus tiles that automatically refill with a new tile. You can place one of those tiles on the board, but if there are no available moves, the Dragon Master will take his turn as he tries to block you from making matches. This game was confusing, and for me had no entertainment value.